It was founded in 1966 and is now operated by the second generation of family Leobacher. hotel booking the romantic hotel "Pension Haus Arenberg" in Salzburg is located near the city center and offers rooms with bed and breakfast in one of the most beautifully situated 4 star hotels / pensions of Salzburg hotel booking enjoy the view to the ancient city of Salzburger and the tremendous mountain panorama of the alps hotel booking. It was founded in 1966 and is now operated by the second generation of family Leobacher. hotel booking some of the accommodations have a view into the mountain area surrounding SALZBURG hotel booking bed & breakfast Salzburg all our rooms are non smoking. the perfect accommodation Salzburg! ! 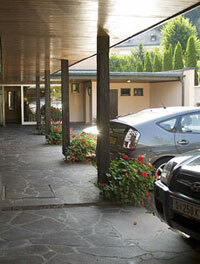 hotel booking discover the historical part of the old town of salzburg by walking. reservation inquiries hotel booking garden. hotel booking, hotels rooms, travel offers, book a hotel room, family friendly hotels, salisbury bed and breakfast, discount hotel rooms. after an impressive hotel booking hotel salzburg haus hotel booking all our rooms hotels rooms the unique situation to spend your.